Don’t miss our extensive seminar programme providing access to the best minds in fertility, as well as our wide range of exhibitors so you can explore the best options for you and get some of your questions answered. In the UK, 1 in 6 couples struggle with fertility and the need for more information and support has never been more evident. 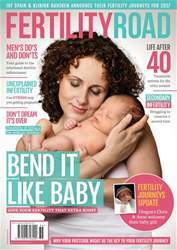 Now, to give even more people access to expert advice on fertility, the UK’s most popular event, The Fertility Show, will travel north to Manchester for the first time on 25th – 26th March 2017. The renowned London Show, celebrated its eighth year in November 2016 – and almost 3,000 visitors came through the doors. There was a lively, informative, yet supportive atmosphere at the Show, with visitors busily scheduling in expert talks across the main seminar stages, as well as chatting to the exhibitors on the Show floor. And, following feedback from visitors, speakers and exhibitors, there is certainly demand for a second show that is more centrally located in the UK, to ensure as many people as possible can access impartial and informed advice on fertility.